HMH Books for Young Readers, 9780544699564, 24pp. It's Halloween! When George and his friend the man with the yellow hat go to a party at Mrs. Gray’s house, George is excited to find out that it is a costume party. 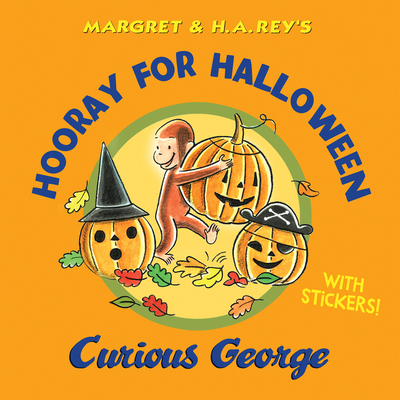 After seeing his friends dressed up as astronauts, mummies, witches, and more, George gets to pick out his own costume. But George accidentally wraps himself up in a tablecloth and gets mistaken for a ghost! Will everyone enjoy George's Halloween trick, or will he scare away the party guests? Each hardcover gift book comes with festive Halloween stickers.